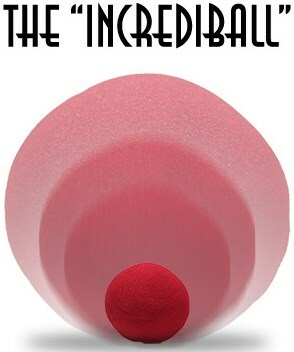 The magician displays a small (2.5-inch) sponge ball. He places the ball onto his closed fist and pushes it down inside. When he opens his hand the ball has somehow doubled in size, growing into a large (5-inch) ball!